Paine, Thomas (anonymously). 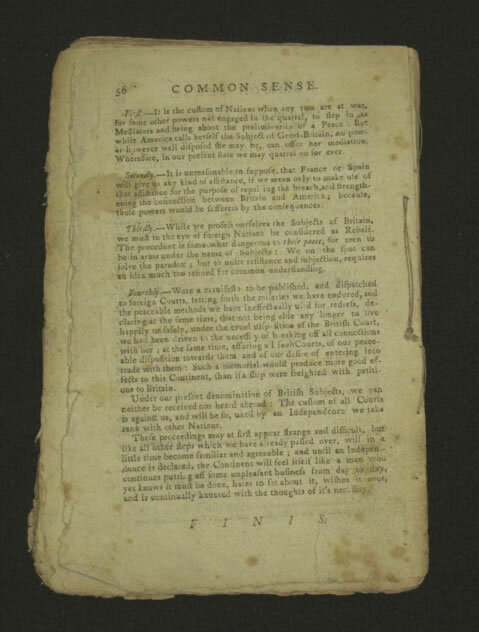 Common Sense; addressed to the Inhabitants of America, On the following interesting subjects. I. Of the Origin and Design of Government in general, with concise Remarks on the English Constitution. II. Of Monarchy and Hereditary Succession. III. Thoughts on the present state of American Affairs. IV. 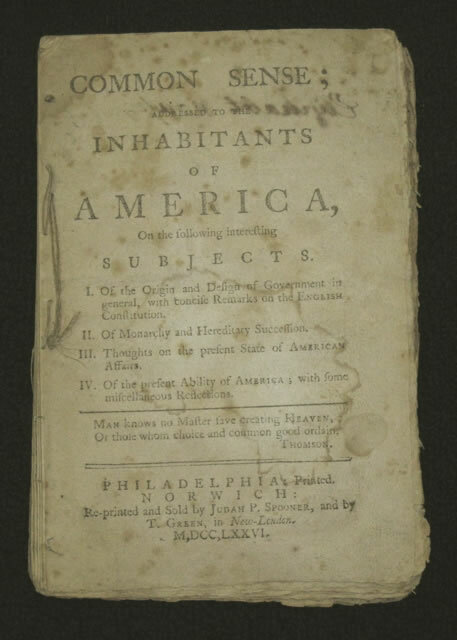 Of the present Ability of America; with some miscellaneous Reflections. [two lines from Thomson].